By definition, Nexus means “connection linking two or more things or the central most important point or place”. Your nervous system is not only the most important organ system in the body, but is also your connection to life. We are a chiropractic team committed to connecting you to an active, healthy lifestyle-connecting you to the community, to family, and to health, happiness, and productivity by removing nervous system interference. Dr. Daniel and Heather Kimbley both grew up in smaller towns in Indiana. Heather grew up in northern Indiana and Dr. Daniel grew up just west of downtown Indianapolis. In 2008 Dr. Daniel graduated from Indiana University-Purdue University Indianapolis with a Bachelor of Science in Secondary English Education. Immediately upon graduation, Dr. Daniel began teaching and coaching volleyball-helping high school students think more critically and express their passions, creativity, and athletic ability. While teaching, he was extremely interested in learning about how the young brain develops, learns and what actually makes someone successful. He observed that there were a lot of challenges and questions in the world of education dealing with how the brain responds to stress and how the brain learns-the science of the chiropractic adjustment had the answers to these questions-answers that would benefit students more than simply good classroom teaching strategy. What Dr. Daniel found was that a healthy brain and nervous system are integral to living a long fruitful life. 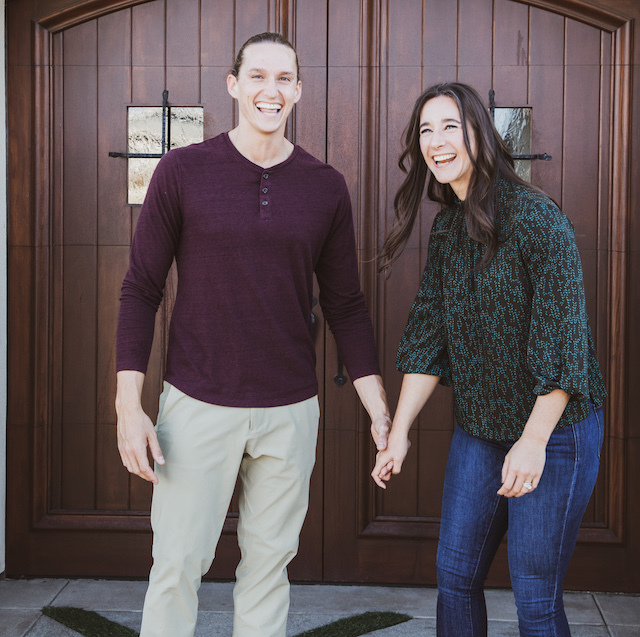 When Dr. Daniel and Heather met in 2010, Heather had recently graduated with a Bachelor of Arts degree in Athletic Training from Anderson University and was pursuing becoming a licensed physical therapist at the University of Indianapolis. While receiving her PTA license, she began working as a chiropractic assistant where she learned about the healing potential contained within each and every individual. Heather found herself constantly educating her patients about using chiropractic care as the center of a healthy lifestyle. She observed multiple patients healing more quickly and efficiently when they were free from nervous system interference. Her passion to help share the chiropractic message with others is what ultimately led Dr. Daniel to make the decision to become a chiropractor. As young as they can both remember, they really had the intuition that the body was able to heal itself. She gave up physical therapy and Dr. Daniel gave up teaching as they decided to move to Georgia for Dr. Daniel to attend Life University– the most prominent chiropractic school in the world. Over the years, they noticed their communities in desperate need of congruent healthcare leaders who can lead by example. They also realized that deeper and more meaningful trust and connection amongst people can be fostered by building genuine relationships. They are passionate about being values based leaders in the community, creating exceptional experiences for others, and helping create a happier, healthier community for all. Outside of providing the best care possible, they have always valued the outdoors and enjoyed adventure. Whether that be CrossFit, yoga, surfing, hiking, wakeboarding, or boating-Dr. Daniel and Heather thrive on the sun, sand, and adventure.